Building with Straws. A STEM Activity. You are here: Home / Fun Activities For Kids (By Age) / Activities For Elementary School Kids / Building with Straws. A STEM Activity. Every week we are in a classroom with 25-30 kids building something crazy with supplies we can grab from our kitchen. Today it was straws! Who knew straws could be so much fun!! Our STEM classroom is set up with tasks and challenges that the kids race to complete. Armed with only straws, tape, a stop watch, and a partner, the kids had 30 minutes to create a globe, from straws. Three teams out of nine were able to pull this task off! Do not give your kids the directions. Tell them the end result and give them the tools to succeed. In this case the tools were the supplies. 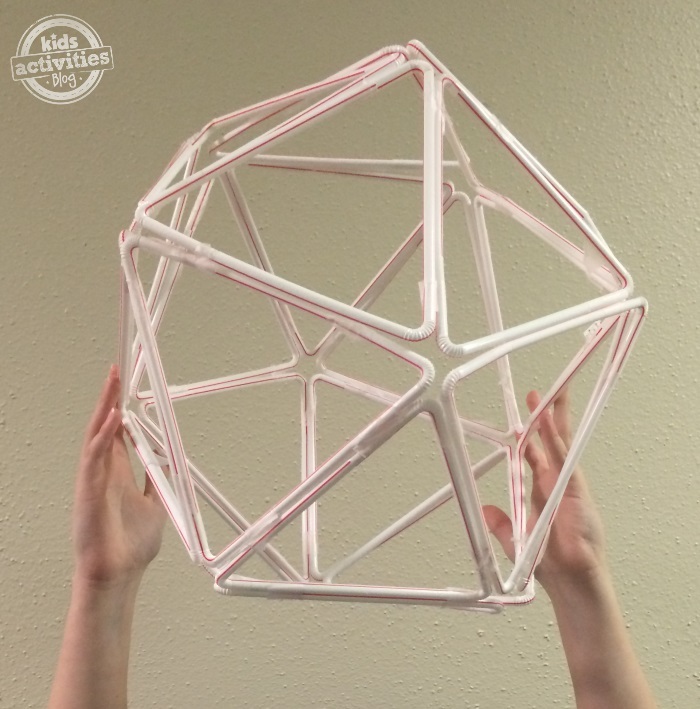 Your kids have to use problem solving skills as well as spatial reasoning to solve challenges. 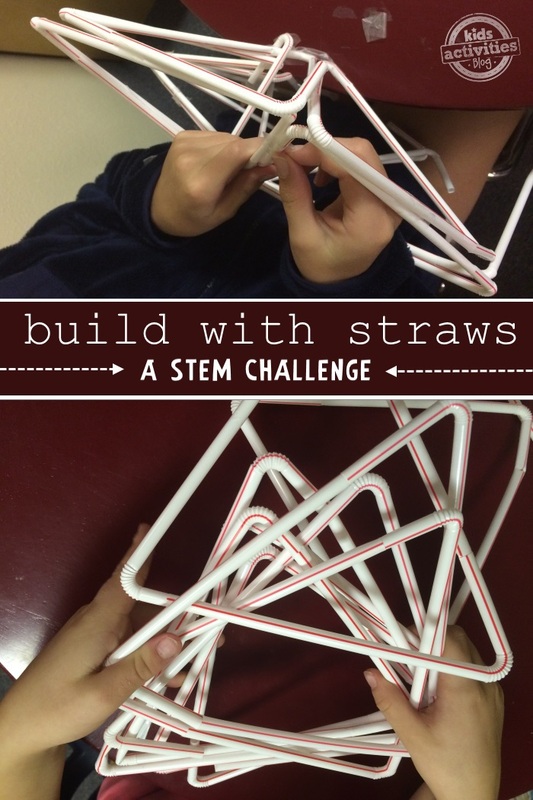 This STEM challenge integrates geometry and engineering concepts. 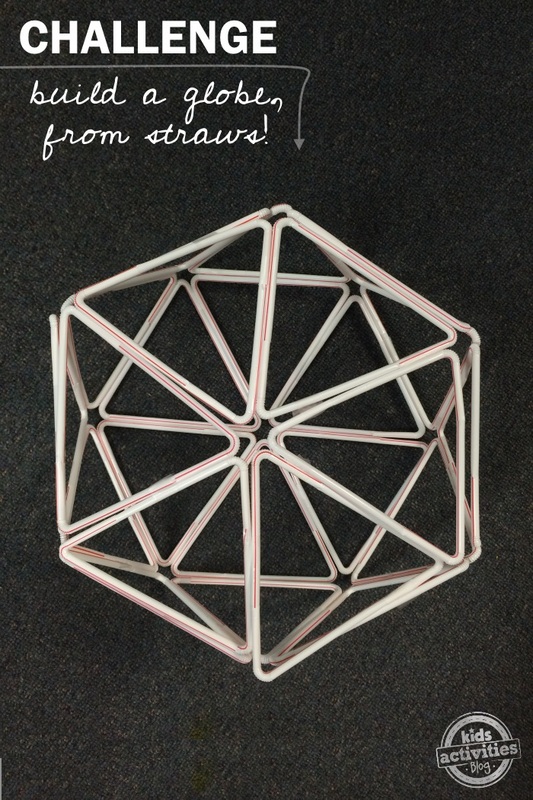 Kids need to merge lines (straws) into triangles, and then after making triangles connect them to create a globe, all without being told how to do it! This post contains affiliate links that support Kids Activities Blog. But just in case you get some frustrated kiddos, here’s the secret. Pinch the mouth of the straws to make them smaller and stuff them into another straw’s end. Do this with three straws and then connect them together to become a triangle. Take five of the triangles and unite them together to make a pentagon. You will need three of these straw pentagons along with seven additional triangles. Tape the pentagons together, and as you wrap them together, connect the missing sections with the remaining triangles. Your kids just make a globe! 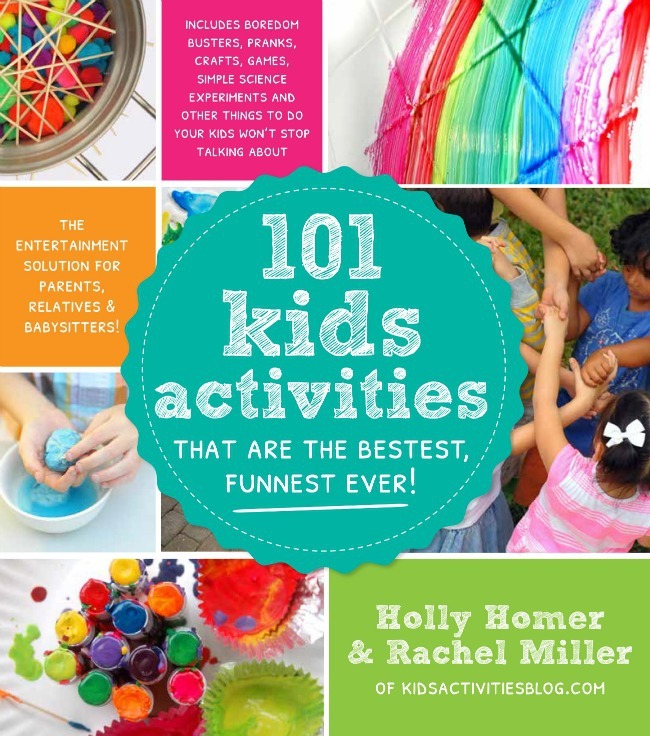 If you are looking for additional activities like this, check out our book, 101 Kids Activities that are the Bestest, Funnest Ever! This is one of the activities in this book and there are 100 more! Previous Post: « Dad Is Upstaged When His Baby Crashes A Concert And Steals The Show!